If you were lucky, like Robby, you snagged the new ASUS Chromebook Flip C434 last week as it was quietly made available in ASUS’ online shop. Thanks to some expedited shipping options, the highly-anticipated convertible was in our office the next day and ready for a proper unboxing. Robby will have some in-depth thoughts on the Flip C434 next week but in case you missed it, here’s a first-look at this very unique Chromebook. Many users have expressed their desire to wait on the more powerful variations to hit shelves but that didn’t stop the Core m3, 4GB ASUS C434 from selling out in just over 48 hours. Listed as “out of stock,” ASUS’ store now shows the Flip’s estimated delivery date as April 26th. Guess they underestimated their inventory. Good news for those who missed the chance to secure the ASUS. Amazon has officially listed the C434 for pre-order and says it will ship on April 5th. That’s way more palatable than waiting nearly a month for ASUS to replenish their stock. 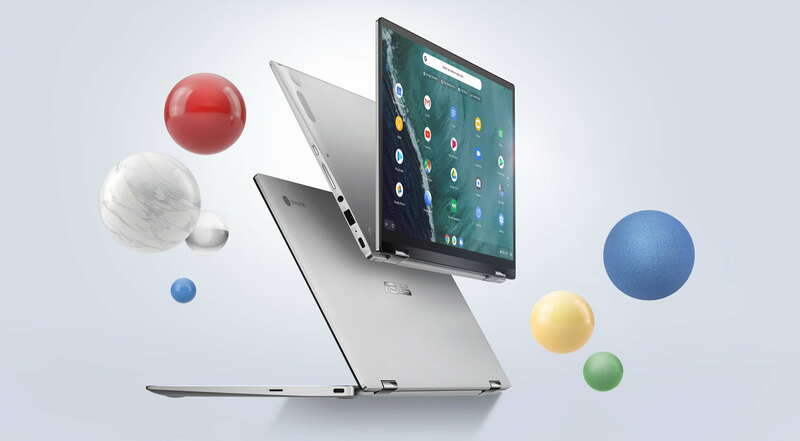 Sold and shipped by Amazon, you can grab the ASUS Chromebook Flip C434 for the same $569.99 as the ASUS Store and with a little luck, it will be on your door step in about a week. FYI, the ASUS comes with a manufacturer-backed, 1-year limited accidental protection plan which is very rare for a Chrome device.